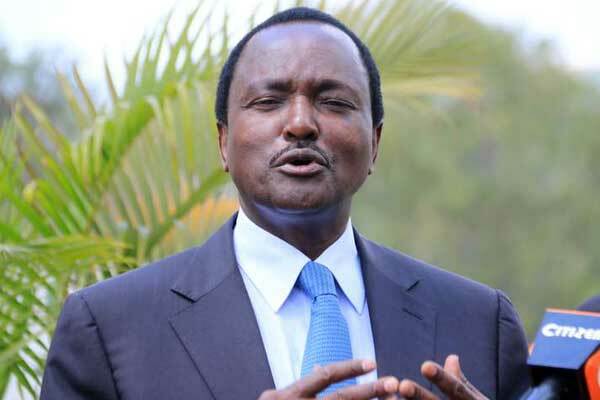 Saturday February 9,2019 - Former Vice President Kalonzo Musyoka has silenced all those who were questioning his development record by tabling a list of projects he completed when he served as a Minister and Vice President during Moi and Kibaki‘s regimes respectively. Over the last 6 months, Governors Alfred Mutua (Machakos), Charity Ngilu (Kitui) and Kivutha Kibwana (Makueni) have been asking Kalonzo to show his development record. But speaking on Friday during the Kamba Leaders Convention themed Koma 2 at Kamba Primary School in Matungulu, Machakos County, Kalonzo said he has a massive development record across Ukambani and he even used his own money to complete projects in the area. Kalonzo, who is also the Wiper Democratic Movement party leader, said he has never been a governor and not had access to billions of shillings to develop the region. “They are saying Kalonzo give us your arithmetic. When I was a Minister, I constructed Katumani–Wote road, brought peace in Somalia and Sudan, constructed Kibwezi–Kitui road but I never used public funds. I tarmacked 80km of road when I was a Vice President, my Kalonzo Musyoka Foundation has educated over 3,000 poor Kenyans, constructed Kiambere Water Project, connected homes to electricity,” Kalonzo said. He said he doesn't blow his own trumpet because his faith does not allow him to.